Fits 2WD & 4W pickups 6-lug only. (Machined billet aluminum spacers). Performance Accessories designed a 2-inch leveling kit for Tacoma pickups that corrects the front-to-rear stance of the vehicle. 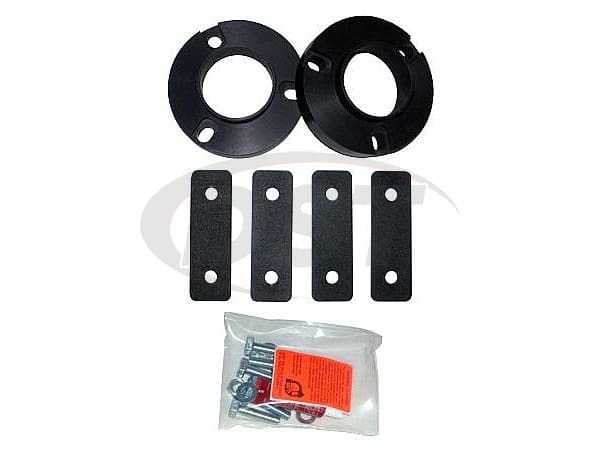 This leveling kit features a pair of CNC machined billet aluminum spacers that allowing the vehicle to run up to a 32-inch diameter tire. This system can be installed in 2 hours and comes complete with everything necessary for installation.